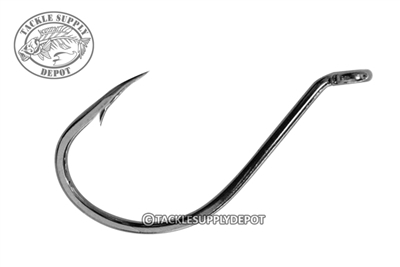 Mustad 92533NP-BN Octopus Beak hooks feature an extra strong forged wire construction, tapered up turned ring eye, extra-long inward curved point and black nickel finish for added corrosion resistance. 1X strong for perfect penetration and holding capacity. An ideal hook for use with live bait and saltwater use.